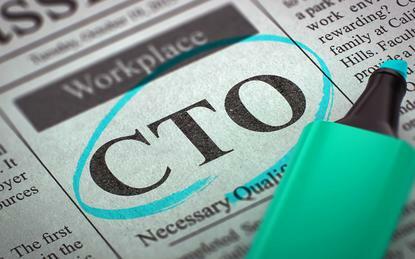 David Gulli has vacated his position as chief technology officer (CTO) of Thomas Duryea Logicalis, exiting the technology provider after four years to join consultancy start-up Versent. Promoted to the role in July 2016, Gulli was responsible for the development of technical strategy at the company, alongside establishing go-to-market frameworks and reference architectures. ARN can reveal that the industry specialist will now join Melbourne-based Versent in a principal consultant role, as the cloud provider continues to expand reach and capabilities across Australia. “After four years it was time for a new adventure,” wrote Gulli, via a social media post. “Thank you to all at TDL, the people makes the place buzz and I have no doubt you will continue to be massively successful. Prior to taking the CTO role, Melbourne-based Gulli was previously solution architect within the mobility and collaboration team, specialising in technical pre-sales across Amazon Web Services (AWS) and Microsoft Azure platforms. Before joining then Thomas Duryea in December 2013 - before the company’s acquisition by Logicalis - Gulli held technical roles at Harbour IT for almost four years, with expertise in cloud and managed services. Starting out in the industry with Invizage Technology in 2006, Gulli also worked at Upstream Print Solutions for more than two years, as a senior system administrator. Gulli’s departure comes as Thomas Duryea Logicalis continues to hunt for new blood across the industry, to fill its ranks following the a period of internal restructuring. Upon closure of the acquisition, the combined entity has restructured its business and adopted a new go-to-market strategy, with plans to bring on new talent to build out new practices, as well as recruiting additional sales professionals to grow the business rapidly. The company also recently announced the appointment of Joe Jones as NSW state manager in May 2017. In addition, the IT solutions provider also streamlined business operations to create digital transformation and service delivery divisions. As reported by ARN, the business shook itself up to meet changing customer demands across the country, backed up by the launch of a dedicated cyber-security practice in June. “As organisations try to navigate digital transformation of their business, our primary objective is to help them identify where they are on their transformation journey, and assist them with the technology and organisation changes required to stay competitive,” Thomas Duryea Logicalis CEO Michael Chanter said at the time. Furthermore, Chanter and his team launched a dedicated cyber security practice to underpin consulting, advisory and implementation businesses with risk management. Chanter told ARN at the time that the business unit will work across all other practices in a way which is consistent with how its consulting and advisory business operates.